Lahore School of Economics (LSE) has made an announcement about the opening of admissions for Spring semester 2018. LSE offers admissions in various discipline like economics, Business administration, Management Science, Social sciences, Accounting, Math, statistics and environmental sciences having the degree programs BSc (Hons) in different disciplines of Economics, Marketing, Management, Political Sciences, Accounting, BS, BBA(Hons), MBA, MBA Executive, MS, Mphil and PhD. Major courses offered by the LSE contain economics and business administration. The institute is distinguishable from other institution for its experienced faulty, research based activities and its excellent academic environment. Lahore School of Economics admission admission advertisement is printed in various newspapers which contain information about the LSE admission last date, requirements, LSE fee structure 2018, eligibility criteria, admission form download, entry test date, entry test pattern and schedule. 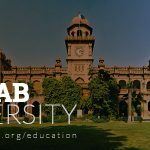 If you want to know about the Lahore school of economics MBA and BBA admission criteria, Phd admission, undergraduate and master programs, merit list, spring and fall admissions 2018, job openings and scholarships offered by the Lahore School of Economics then read this article thoroughly to get all related information. Admission 2018 are offered by the Lahore School of Economics and admission applications are invited from qualified candidates who fulfill eligibility criteria. Both the main campus and city campus are offering the courses for admissions in 2018 which are BSc (Hons) in different disciplines of Economics, Marketing, Management, Political Sciences, Accounting, BS, BBA(Hons), MBA, MBA Executive, MS, MPhil, and Ph.D. Currently, Ph.D. is being offered by Lahore School of Economics in Economics and Business Administration. LSE announces these degree programs in the both Spring and Fall semester. Admission details and prospectus can be obtained from main campus and city campus. Supplementary details about admission procedure, admission form download, last date for application submission, admission prospectus by the institute can be obtained here through these following paragraphs. 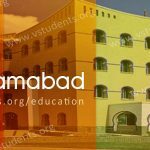 Looking for universities offering BBA or MBA in Pakistan? Don’t forget to visit IBA Karachi, LUMS University, and Iqra University Karachi Admissions. Application form is available at the main campus and city campus. You can purchase admission form from these campuses or are available at the official website. You can download the admission form of Lahore School of Economics by Clicking Here. You should deposit admission form fee Rs. 2500/- and application processing fee of Rs. 2500/- with the duly filled downloaded admission form. It is compulsory for the applicants to create login profile before submitting the admission form to the admission office. 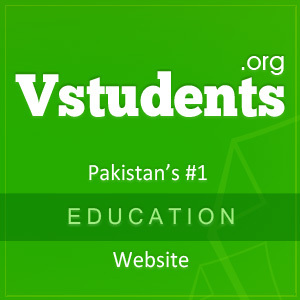 Click Here to create a login for admission in Lahore School of Economics. It is advised in your own interest that the Last date for submission of admission form is noted carefully in order to avoid any discrepancy. LSE undergraduate admission the last date is 4 July 2018. Late admissions are not allowed by the Lahore School of Economics until the extension is made in the due date by officials. Fee structure of Lahore School of Economics is different for various subjects. Fee is charged according to per credit hour courses studied in the semester. Other additional charges in fee structure include registration fee (one time), admission fee in each semester, examination fee, library fund, sports funds etc. Fee structure of some of the common programs are mentioned below for information of the applicants. 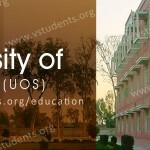 The above fee structure mentioned can be changed by the university any time without any notice. 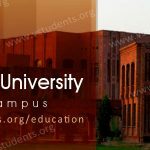 Fee structure is determined by the Board of Governors of Lahore School of Economics and it is kept as low as possible to accommodate the students as well as to meet the expenses of the institution. 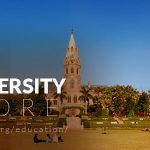 You can also check our complete guide for other universities including UOL Lahore, UCP admissions, UET Lahore, and FC college admissions. 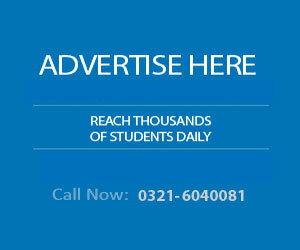 Purchase the prospectus and admission form from city campus of Lahore School of Economics. After that you are required to make online account for submission of application information. Following steps should be followed to create an account. Click Here to open the link to create the new login. Complete the information required to create the new login and save the information. After that check your email inbox which you have provided in the form. Click on the link mentioned in the email to confirm your email account. 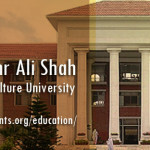 Login at the link given in the email which you have received from Lahore School of Economics. Login to account by providing email address and password. 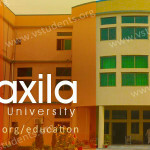 Choose your degree program for which you are applying and complete all the required fields providing academic details. Form is not received if information given in incomplete or fake. Submit attested photocopies of all academic certificates, degrees with three passport size color photographs. All information about Admissions into Lahore School of Economics is printed in the admission advertisement 2018. Interested candidates must read the admission advertisement in famous newspapers to choose degree program to apply for admission. Last date is clearly pointed out in the advertisement. Follow the steps mentioned in the admission advertisement to complete admission process before the due date. 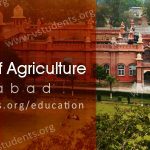 Admission requirements and eligibility criteria for getting admission in any degree program at Lahore School of Economics can be read from admission advertisement and also from official website. If you fulfill these eligibility requirements then apply for admission into required degree program. For admission into undergraduate programs BBA, Bsc and more candidate must pass matric and inter examination with minimum 60% marks. Eligibility Criteria for admission into MBA program. For getting admission into MBA program candidate must pass BA/BSc/BS/B.Com/BBA 4-year degree with at least 3.00 CGPA. BA/BSc/BS/B.Com/BBA 4-year degree with at least 3.00 CGPA or 1st division is required for admission into post graduate programs like M.phil, MS degree programs. For enrollment into PhD program 3.00 CGPA is mandatory in the Mphil/MS degree programs. Following undergraduate, Masters, post graduate and doctorate level degree programs are being offered at university. BSc(Hons) with different major subjects e.g. LSE Post Graduate and PhD programs. Admissions are made purely on merit basis in Lahore School of Economics and an entrance test is conducted for this purpose. Those candidates who qualify the entrance test for admission into various degree programs are eligible to apply for the admission. It is compulsory to get 50% marks in the entry test. After that interview is held in which original documents must be presented by the candidates. Please find the updated entry test last dates above in admission last date section. LSE Merit List 2018:Merit list of successful candidates are prepared according to the criteria laid down in the prospectus. Merit is prepared by considering marks obtained in all academic certificates and degree. Candidates whose names appear in the merit list is offered the admission by the Lahore School of Economics and they have to submit their fee dues with in specified time limit. If candidates fail to submit the fee in time, then offer is made to other candidates waiting for admissions. Lahore School of Economics has also initiated the different financial assistance programs and scholarships for talented and deserving students. A candidates having secured 85% marks in intermediate examination can get 50% concession in tuition fee in the first semester and continued in the next semester if he/she perform well in the next semester with obtaining GPA 3.75. Further details about various scholarships offered that can be seen by Clicking Here. Address: Lahore School of Economics, Barki Road Lahore. I want to get information about MBA 2 years program admissions. and please tell me which entry test was required.